Japan-South Korea relations are in crisis. The two countries are at odds over the interpretation of the treaty and agreements that liquidated 35 years of colonial rule and led to the normalization of relations between Japan and South Korea in 1965. In Japan, many people are interpreting this as the unchecked policies of South Korean President Moon Jae-in and his left-leaning administration. Giving the situation a little more thought, however, makes clear that this crisis is hardly new, nor is it the result of a new South Korean government. In August 2011, the Constitutional Court of Korea criticized South Korea’s Ministry of Foreign Affairs and Trade (now the Ministry of Foreign Affairs) for its “nonfeasance” over the “comfort women” issue. In May 2012, the Supreme Court of South Korea recognized the right of ex-conscripted workers to make personal claims. Both of these incidents occurred during the Lee Myung-bak administration. South Korean President Park Geun-hye, who inherited these judgments, stated in March 2013, immediately after taking office, that “the historic dynamic of one party being a perpetrator and the other party a victim will remain unchanged even once a thousand years have passed.” In May the same year, she delivered a speech to the U.S. Congress saying, “It has been said that those who are blind to the past cannot see the future.” That June, Park visited China and continued her historical criticism of Japan. 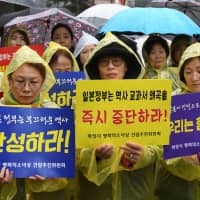 Strangely enough, however, despite Park’s criticism of Japan over historical issues, no progress was made in hearings on the comfort women and conscripted worker issues. The South Korean government, or rather Park herself, applied the political brakes. In December 2015, a Japan-South Korea comfort women agreement was reached. The Japanese government provided ¥1 billion to the Reconciliation and Healing Foundation in South Korea, which was intended to make payment in kind to the former comfort women. It is likely that both Park and Prime Minister Shinzo Abe were convinced that this had succeeded in resolving the comfort women issue. With more than 70 percent of former comfort women receiving payments in kind, it certainly achieved a measure of success. But the remaining ex-comfort women and fundamentalist support groups were opposed to the agreement. As time passed, public opinion and the media also drifted into opposition. Ultimately, in November last year, the Moon administration announced that it would be dissolving the Reconciliation and Healing Foundation. Meanwhile, the issue of the former conscripted workers has become increasingly complicated and serious. Moon, who became president after Park was impeached, halted all political interventions and the trial began to move forward again. At a hearing last October, Nippon Steel & Sumitomo Metal Corp.’s final appeal was dismissed and an order to make compensation to former conscripted workers was resolved. This outcome effectively altered the interpretations of the treaty and agreements some 50 years after the normalization of relations between Japan and South Korea, and as such was a huge shock to Japan. In fact, when the Agreement on the Settlement of Problems Concerning Property and Claims and on Economic Co-operation between Japan and South Korea was concluded in 1965, both the Japanese and South Korean governments shelved unsolved problems, handled them ambiguously or resolved them forcibly. A typical example of this is the controversy over the validity of old treaties and agreements, including the Treaty of Annexation of Korea 1910, with both the Japanese and South Korean governments referring to it as “already null and void” in 1965. The Japanese government is responding through legal channels. Regarding South Korea’s seizure of the Japanese company’s assets, Tokyo has already called for diplomatic consultations based on Article III of the 1965 agreement on property and claims. If the seized assets are converted into cash, they will move to the phase of third-party mediation. If this does not materialize or ends in failure, the Japanese government will bring the issue to the International Court of Justice. 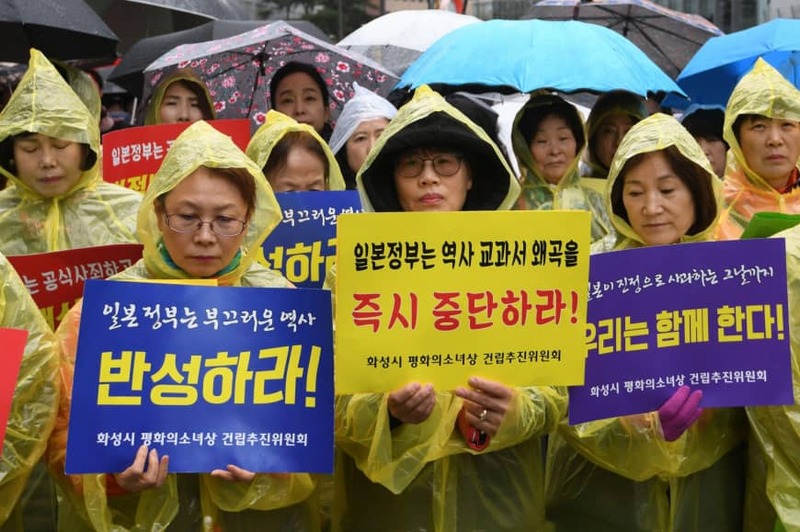 It is not necessarily clear why the South Korean judicial authorities began to lose control. But I suspect that it was because of the democratization of justice, which came at a late stage in South Korea. If my guess is right, the judgments made by the Constitutional Court of Korea and the Supreme Court of South Korea are a declaration of independence by the judiciary, which has in the past been ridiculed as a servant of power. The Moon administration simply failed to control the process. Accordingly, the Moon administration has maintained a policy of nonintervention. The administration intended to ascertain Japan’s policy as well as South Korean public opinion on judicial independence. Now that this policy has gone as far as it can go, only two solutions remain: ICJ arbitration, or South Korea’s establishment of a relief foundation and reconciliation between the plaintiff and the defendant through the foundation. However, there is little possibility that South Korea will accept the first possible solution, for fear of the ripple effect on the world court’s approach to the Takeshima (Dokdo) issue. For this reason, unless the foundation approach materializes one way or another, we will inevitably see an escalation in the execution of judgments by the South Korean side followed by reciprocal action from Japan. That is an alarming process to imagine.